Welcome to the insanity that is my life. :-) November is the official National Novel Writing Month, or NaNoWriMo for short. It is a time when writers everywhere pledge to write 50,000 words in 30 days. Yes, this is crazy, but it's also fun and challenging. 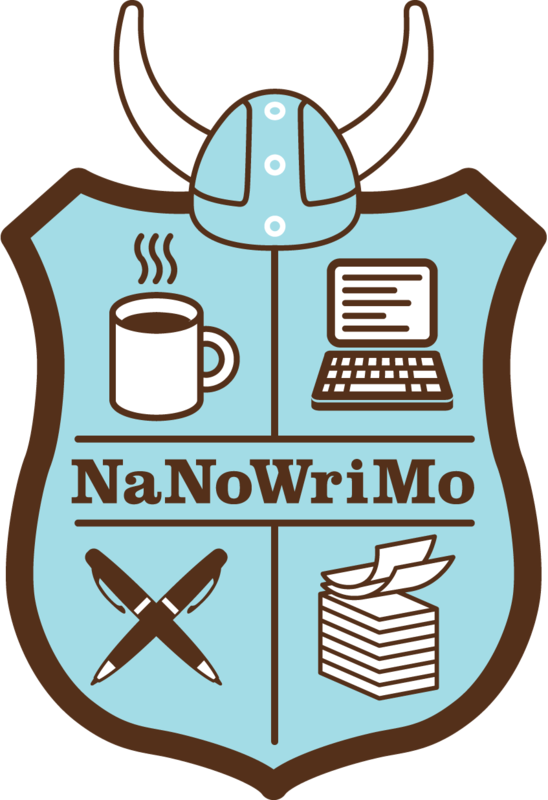 I started doing NaNoWriMo several years ago. I even published a book, "Crazy", from my work one year. This year I'm writing an urban fantasy focused on the protagonist, Eva, trying to solve the murder of her boss, Roberto. The plot involves vampires, Special Agent werewolves, undercover werewolves, money laundering, betrayal, nosy editors, old lovers, and a chicken-wielding housewife. Suffice it to say, my creative head space is full, and I don't really have the capacity to work on "Grecian Gambit" until December. Instead, how about an excerpt from the beginning of my new novel? Assuming no one complains about this, I will publish small bits of what I'm writing this month. I hope you enjoy it. Cell phones - an invention of God? Or an invention of Satan? I debate this point with myself at least three times a day, depending on who’s calling and why. I love getting phone calls from friends; I hate phone solicitors with a burning passion. After eight hours of covering the third shift news beat, I want to take a nice, hot shower and get some sleep. I might be an immortal, but every woman needs her beauty sleep. But the ring of my cell interrupts my bedtime routine. I almost ignore the call - almost - until I realize it’s the ring tone for Trixie. “Speak, mad woman! Or forever lose your tongue,” I command my editor and best friend. “Isn’t that supposed to be ‘forever hold your tongue’?” Trixie giggles into the phone. She doesn’t think I’m a monster. I open my eyes as I digest her words. Well, this gives me pause. I understand now why Trixie asks me about this. We still haven’t had many conversations about vampires and all the crap said about us. “Listen, vampires don’t burst into flames when we come into sunlight. You know this, right? I mean, I do attend the company picnic.” I notice a loose thread on my comforter, and get up to grab scissors from my desk. Plus, Carly is a few weeks pregnant. I know this because she smells pregnant to me, but I don’t mention it to Trixie because I’m not sure even Carly knows yet. I put the scissors away and my shoes back on. Looks like I’ll be missing my beauty sleep today.